SUBJECT: A portly and congenial “old man” with a fluffy white beard, wearing a luxurious red coat with gold braiding and furry edging, visited a local garden centre to meet children and hear what gift they would like for Christmas. 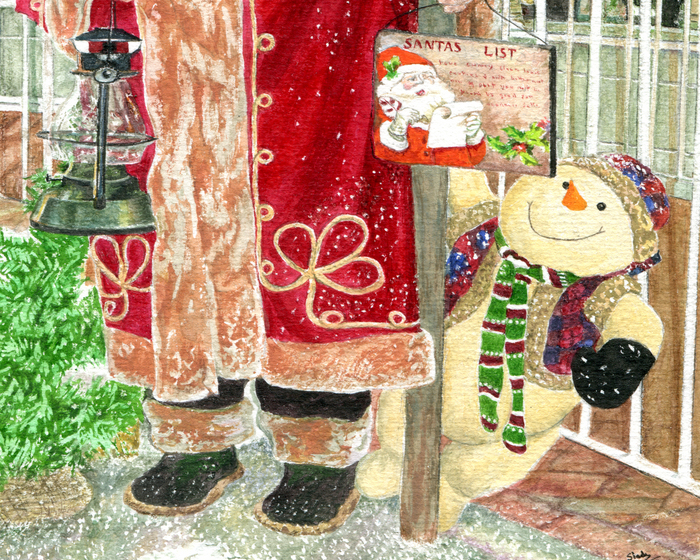 His little helper, a cheerful little chappie with a woolly hat and stripy scarf, made a note of all the requests on Santa’s List. 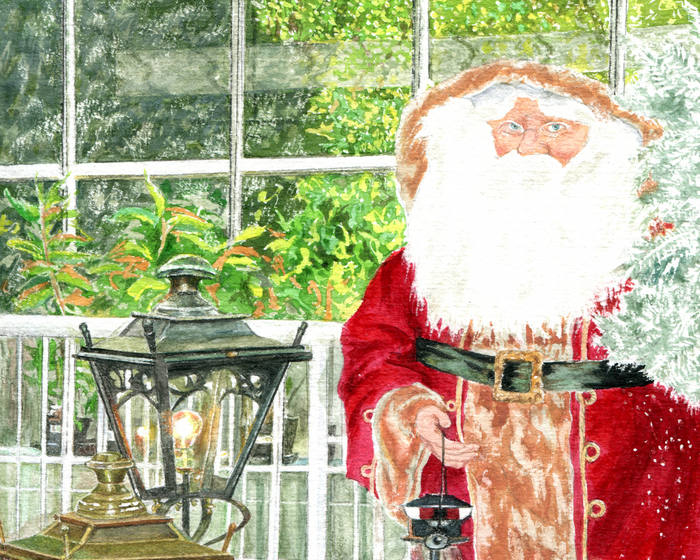 Had Father Christmas arrived or was he just a life-size model? 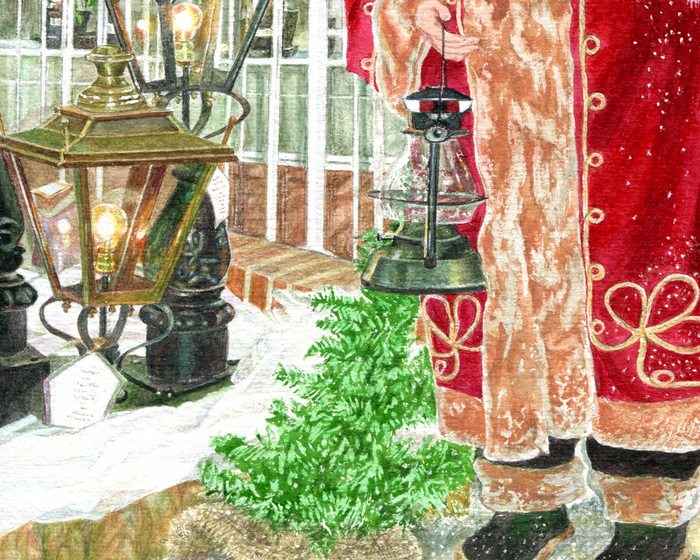 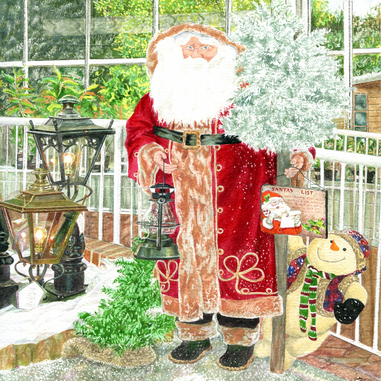 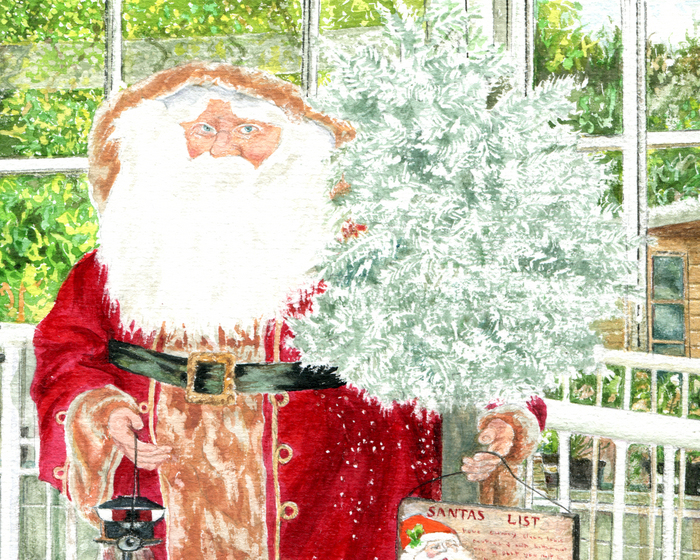 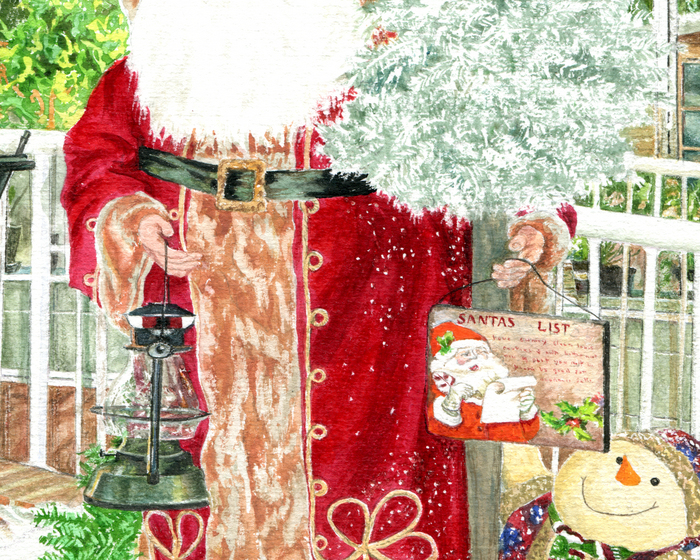 (The artist was inspired by a Christmas display at the Ashtead Park Garden Centre in 2013).